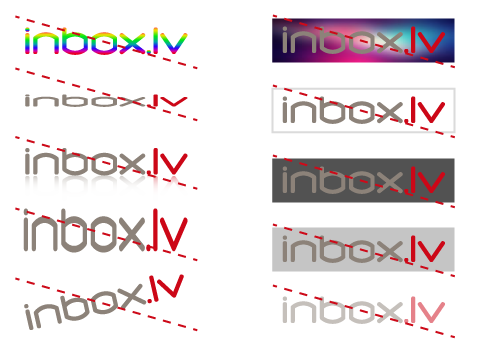 This guidline contains a description and visual examples of Inbox.lv logo usage – various combinations on different backgrounds and by the use of certain color. 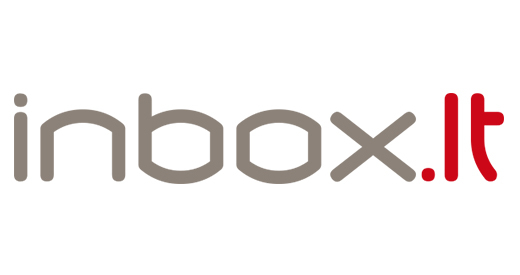 Inbox.lv logo is a registered trademark of SIA Inbokss. Original logo – it is the main, preferred embodiment of the logo used on a Web pages, applications and other products, for example, for press or print. This logo can be replaced by alternate black and white only if the original logo for some reason can not be applied. The following logos may be used as an alternative to printed materials, if color print can’ t be used. In order to ensure clarity, there is a fized minimum size defined for the logo to reduce. Original logo can be reduced till 100х23 px 72dpi for Web and 150х34 300 dpi (12,7 x 2,88 mm) for printing. 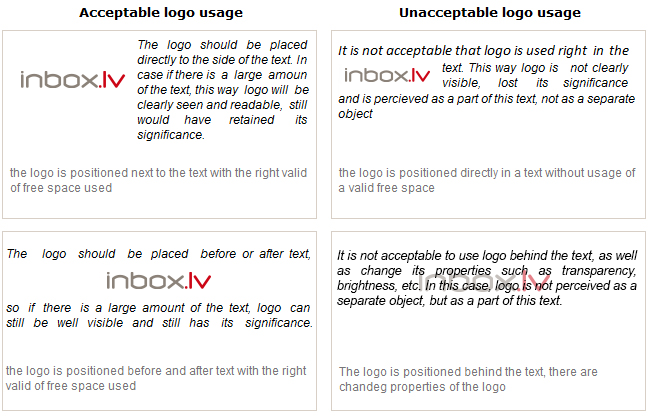 In order to maintain visibility of the logo, located near the texts and other objects, logo should be located at some distance and to have a clear space around it. 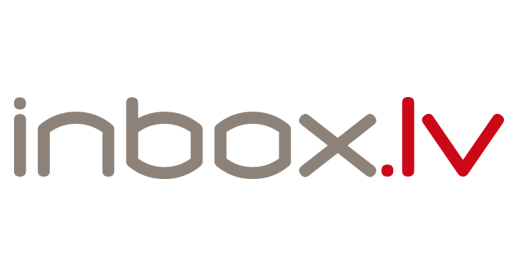 The distance from logo is measured by the value of X.
Inbox.lv logo on the Web can be displayed only with the above shown codes in RGB and CMYK. In programming (HTML) it can be used with HEX, but for printing – Pantone, same shown above. The original logo can be used only on a white or black background. Framing can not be applied. changes of any kind, which make the logo to look different from described in this manual.